Is it Kapil Sibal or RSS? ya me too i m from mumbai not able to access fb..
its not working in BSNL.. But in vodafone i can access fb in kerala. i think they have some prob. in server, its not like that govt. 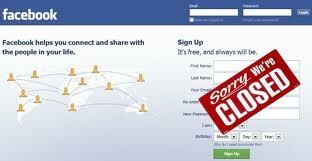 has banned the fb. guys try from your mobile.... am able access my account from mobile mine is blackberry torch and also working on Iphone 4.
have a try... good luck!! facebook is not opening in kerala too! hope they'd fix the problem soon! Facebook maintainace team is updating their server and the Timeline stuffs, as from 17th March onwards timeline is going to mandatory for each and every profile. So that they are updating these things and this is the reason for the temporary shut down of Facebook. Don't worry they will resolve within few hours..!! hey its not working near navimumbai too...what's the problem..is it banned?? Its the beginning of the End of democracy in India thanks to power hungry Congress.